Uncategorized Archives - Ellev - The Best Full-Service, Award-Winning Ad Agency in the Carolinas! It’s difficult to believe, but Photoshop has been changing the way we see the world of photography and graphic design for 25 years now. To celebrate the tool that has helped to shape creativity, artists from all over the world contributed their most amazing dreams and their working files with layers to help create the stunning video. Photoshop is one of our personal favorite tools here at Ellev Advertising Agency. travel destinations We use Photoshop to create everything from our award-winning website and graphic design to editing and retouching commercial photography. 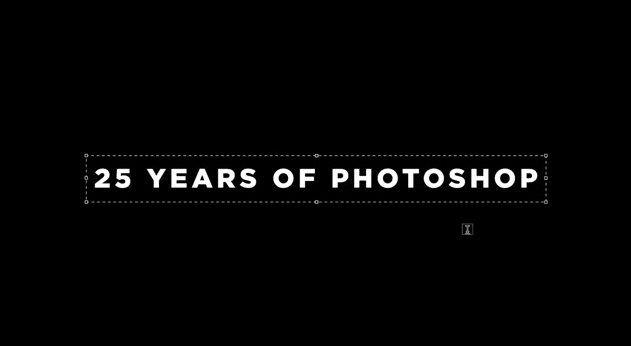 So we hope you enjoy the video and look forward to another 25 years of Photoshop awesomeness! 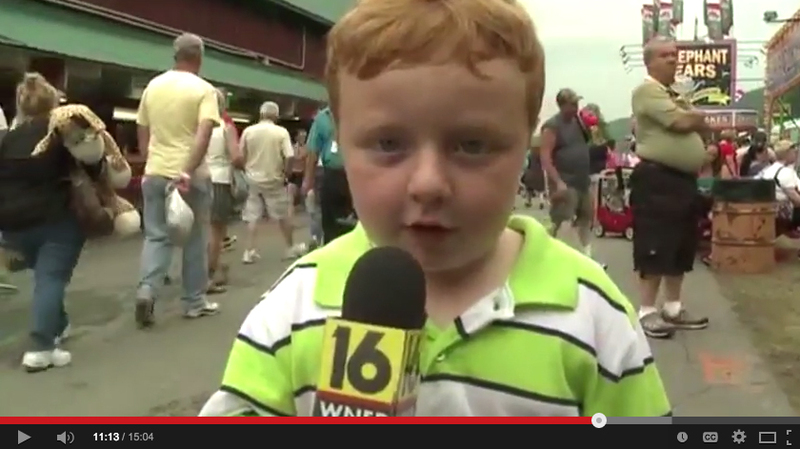 Images are said to speak a thousand words, and so videos must speak millions of words. But when it comes to getting shares which of these words speak best? It has been show that there are some words that can make your post much better with higher rates of shares. These are know as viral words. Using these viral words can help your gain exposure on social media. The infographic in this post will give you a sample of some words that will help your posts go viral. However with that said, there is a lot more to making a viral post than just adding these words. That is where our social media management experts at Ellev Advertising Agency come into play. They have all the tricks of the trade to get your posts noticed and to help them go viral. So feel free to contact us and we’ll help your business posts get noticed with one of our many social media management plans! Everyone loves a good mystery, puzzle, or suspenseful book or movie. Who would ever think you could finds such things in a corporate logo design? Well we here at Ellev have broken out the Scoobie snacks and done the research for you to find out the hidden symbols and messages in some of the world’s most well known logos and brands. Let the mystery unraveling begin! FedEx take pride in advertising their speed and delivery accuracy, and subliminally promote this in their logo with a hidden arrow between the “E” and the “X”. We made note by making the arrow black. It is a little well-known fact, but the BMW brand has a background in aviation. The white section of the logo represents the moving propeller while the blue section represent the sky. Take note in this illustration from a 1929 BMW aircraft magazine with the history of the logos that we at Ellev had put together for you. And the mystery continues…Amazon has one of the most interesting and intriguing logos of almost all of the big corporations. Originally the logo idea for Amazon.com was a graphic representation of the Amazon river. Eventually the logo was changed to contain the golden arrow which points from the “A” to the “Z” implying that they sell everything from “A to Z”. This logo change is much less literal in it’s message and subsequently works much better. Some have also said that the arrow actually looks like a smiley face which is the face you get from the great shopping deals you get from shopping at Amazon.com. 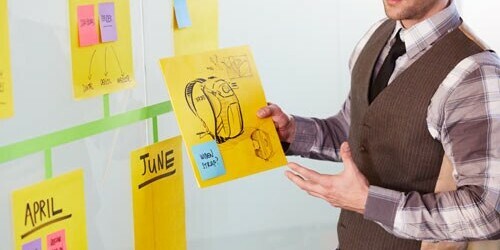 We at Ellev Advertising Agency like both those ideas! Feel free to contact us at Ellev when you’re ready to design your mysterious logo! – is excited about kicking off the new year with wrapping up and beginning new #webdesign #commercialVideo #branding and #logoDesign for our clients!! 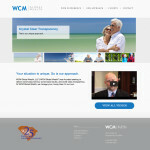 Here’s a website that we recently wrapped up for WCM Global Wealth Management in Greenwood, SC! 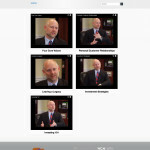 This was a great sight with self-contained and hosted videos and other functions necessary for the money management industry. Don’t fooled by companies that say they “specialize” in #RealEstateWebsites or #medicalWebsites etc. And then charge double for the same work! We specialize in making the best websites for all industries and their specific needs without charging the “Special Fees”!